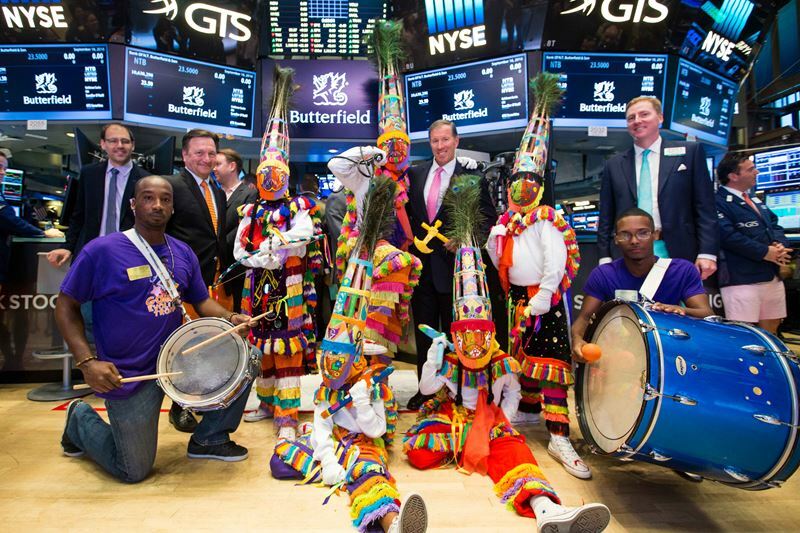 [Updated] Bank of Butterfield executives and Premier Michael Dunkley are in New York today [Sept 16] to participate in Butterfield’s IPO listing launch on the New York Stock Exchange [NYSE], which will also feature a performance by the Gombeys, Bermuda branding and NYSE traders clad in Bermuda shorts. 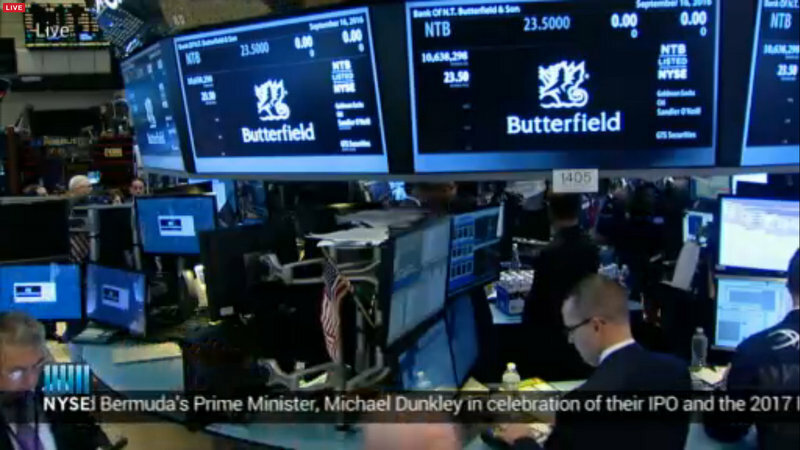 The Bank of Butterfield announced the pricing of its US initial public offering [IPO] of 10,638,298 of its voting ordinary shares at a price to the public of $23.50 per share, and said it expects trading to commence on the NYSE today. 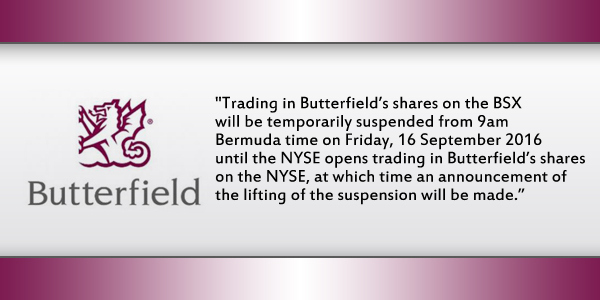 The BSX said that trading in Butterfield’s shares on the BSX will be temporarily suspended from 9am Bermuda time today until the NYSE opens trading in Butterfield’s shares on the NYSE, at which time an announcement of the lifting of the suspension will be made. 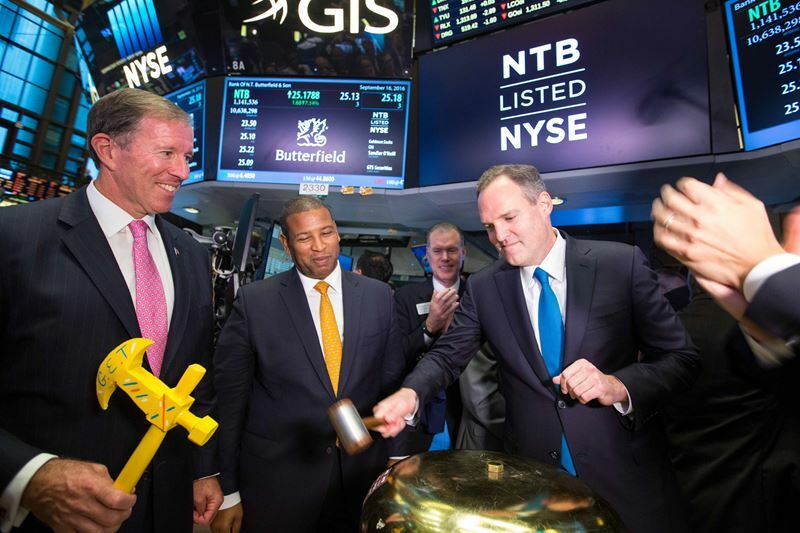 A Government spokesperson said, “The Cabinet Office advised that the Premier Michael H. Dunkley is currently in New York participating in Butterfield’s IPO listing launch on the New York Stock Exchange [NYSE]. “The official launch, considered a milestone and historic occasion for the Island’s oldest bank, takes place this morning [Sept. 16] at the NYSE. 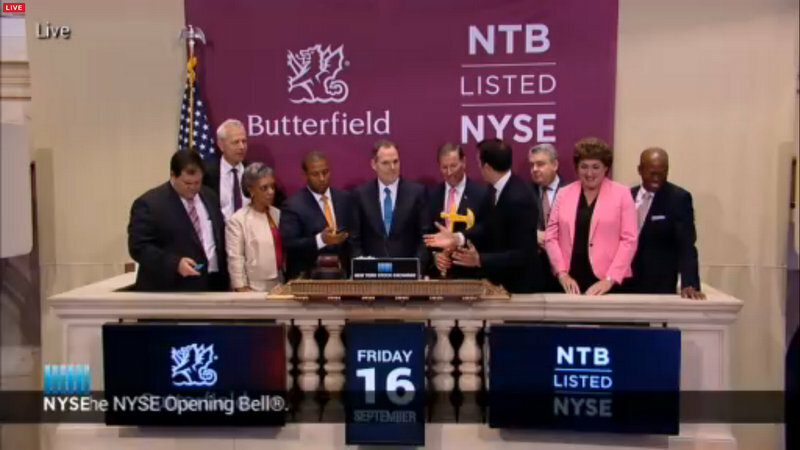 “Premier Dunkley, who as an invited guest by Butterfield, is representing the Government of Bermuda at the event, will join Michael Collins, Butterfield’s Chief Executive Officer in participating in the symbolic ringing of the opening bell at the New York Stock Exchange to highlight the Buttefield IPO listing. “Other attendees at the event include Wayne Panton, Minister of Financial Services, Commerce and Environment Cayman Islands, members of Butterfield’s Board and Executive Management Committee, as well as employees of the Bank and other invited guests. 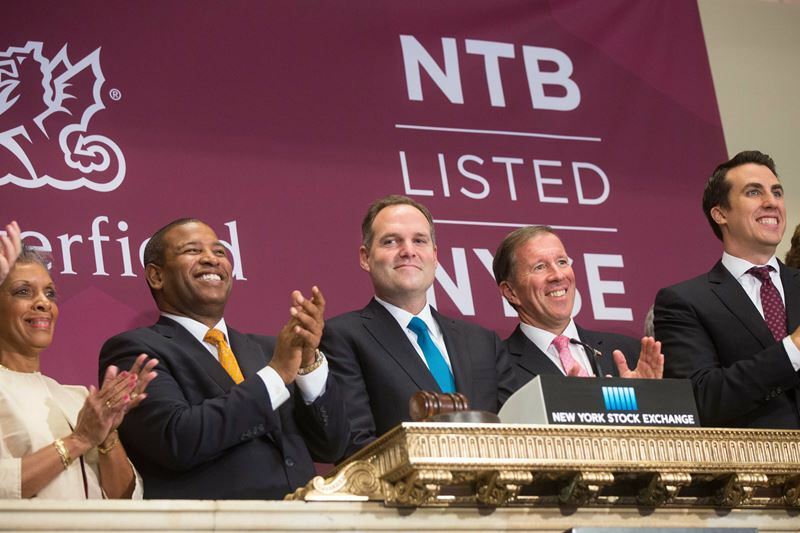 “To celebrate the IPO launch this morning, there will be a performance by the Gombey Evolution Troupe at the NYSE, the featuring of prominent Bermuda branding and Bermuda promotions – which is being facilitated by the Bermuda Tourism Authority [BTA] and NYSE traders clad in the iconic Bermuda Shorts. “While in New York, Premier Dunkley will also engage in media outreach with the Wall Street Journal, Bloomberg and other financial media outlets. 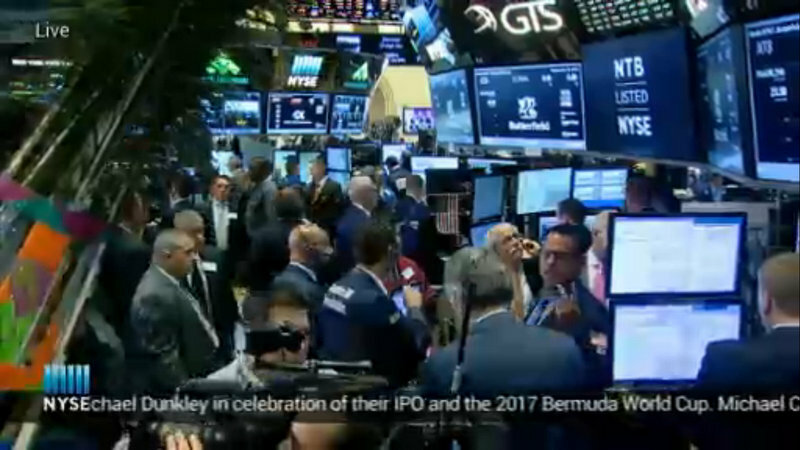 The bell has been rung, and a few screenshots and a video courtesy of the NYSE live stream are below. Update 11.35am: The BSX has lifted the suspension in trading in the Bank’s shares concurrently with the opening of trading in the Bank’s shares on the NYSE, and the Bank confirms the resumption of trading in the Bank’s ordinary shares on the BSX effective immediately. 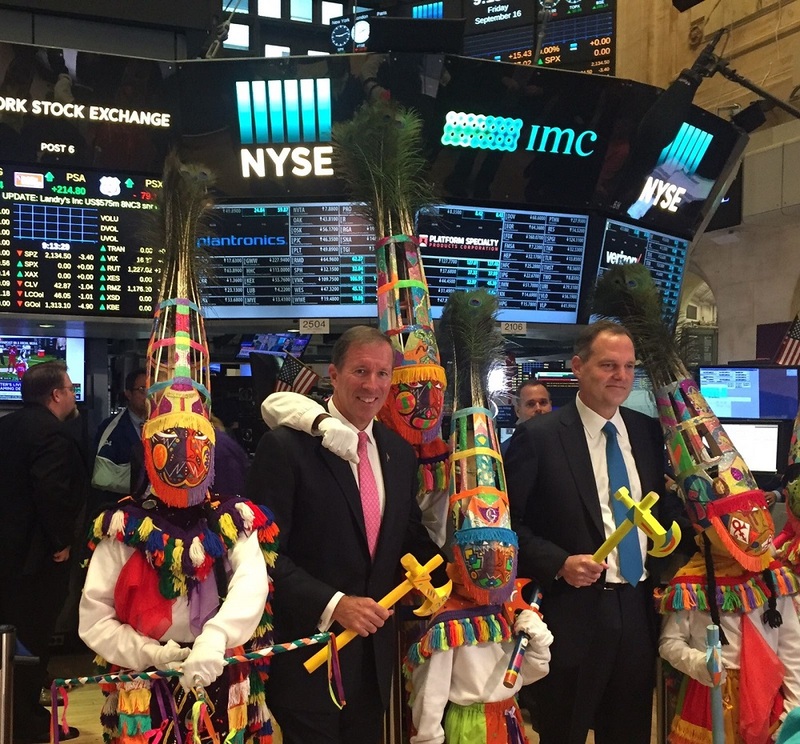 Update 4.21pm: More photos, courtesy of the New York Stock Exchange. The dood on Michaels left looks so enthused. Get used to it man. Those Gombeys been around a lot longer than you……………………. Ann dey haint goin no ver……………………. Dunkley in celebration of their IPO and the 2017 Bermuda World Cup. ??? Did they mean 2017 America’s Cup. Saw the Bermuda flag flying outside of the NYSE today, as well! Great day for Bermuda, and the market reaction to the NTB IPO was very positive, even on what is a pretty down day for the market. 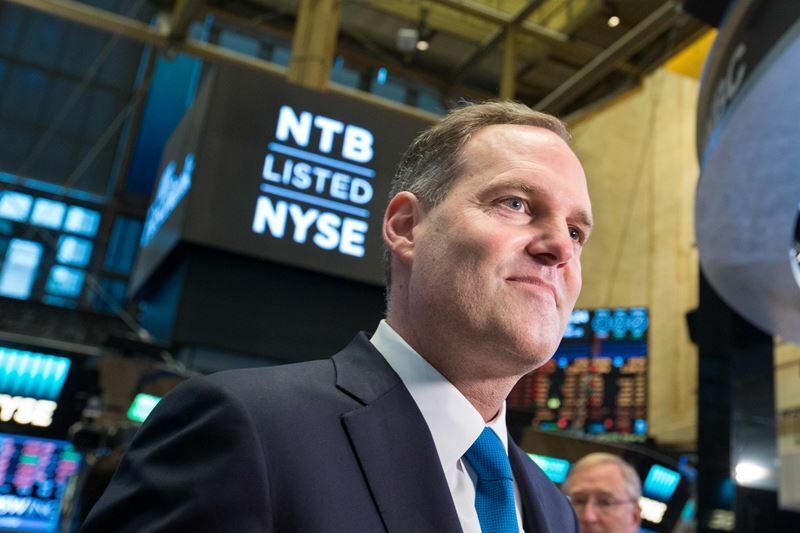 Looks like a lot of “hoopla” at BNTB shareholders’ expense… hope the executives now get back to work and improve value and efficiency as well as working towards getting that dividend yield back up!